With Pure Solutions serving Riverside CA, carpet & upholstery cleaning services are completed by certified fabric professionals. Your carpets will look like new and your furniture will smell fresh. Getting ready for the Holidays can be somewhat of a hassle, from shopping to cooking, you don't want to worry about the cleanliness of your home. Businesses and homes in Riverside, CA, need to be cleaned thoroughly and on a regular basis. For the sake of our clients and their well being, we work hard to eliminate health hazards and vastly improve the appearance and feel of your home's interior. Additionally. In any situation, whether scheduled same day or planned out, we provide high quality workmanship and prompt completion to each and every customer. Being locally owned and operated in Riverside, we can arrive quickly and work efficiently. Whether you need a specific area to be worked on or all of the carpet & upholstery cleaned, we have the training and resources needed to meet your needs. With the Holidays just around the corner, just hiring anyone from a coupon book you picked up to an ad seen on television can be disastrous. Having a quality service provided by a 5 star company is crucial. With our assistance, your carpet & upholstery can be clean and fresh like you remember it. In addition, our products are green seal approved, our process is fast drying and our customer service is at the highest level. We are licensed and insured and are excited for your business. 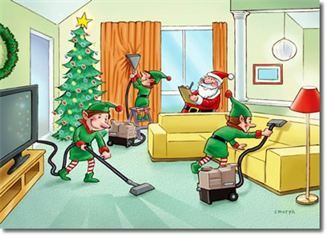 Call the punctual and professional Riverside, CA, carpet & upholstery cleaning staff because the Holidays are here. We offer free in-home or over the phone estimates Monday through Satuday from 9am-6pm. Feel free to message use through Yelp or email us through our website for an immediate response. We are looking forward to building a new relationship with you.